Earlier this week, a key feature of Transmit for iOS was deemed by Apple to violate its terms of service. So Panic, makers of the file transfer app, actually had to remove the “send files” function, a pretty important part of any file transfer software. Luckily, Apple has reached out to Panic and the issue will be soon resolved. Update: late Wednesday we got a nice call from Apple. 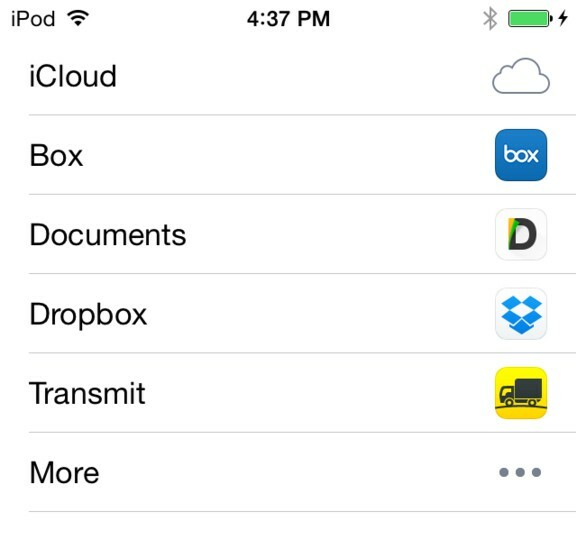 We have resubmitted Transmit iOS with "Send To" (iCloud Drive et al.) restored. ???? Not only is the “send files” feature coming back in the next version, but based on the tweet, it looks as if iCloud Drive will be one of the choices. The original issue actually revolved around Apple’s storage to begin with, as [company]Apple[/company] says only in-app created content could be transferred to iCloud Drive. Since Transmit doesn’t create data, Apple felt it didn’t meet the requirement. And that snowballed into a larger problem for Panic because Apple’s software toolkit didn’t allow the development team to remove a single cloud storage option from the list. As a result, Panic had to remove the feature entirely. It’s a shame the issue had to be resolved by the removal and replacement of a feature for the $9.99 app, but I’m glad to see it. The entire point of opening up iCloud Drive to developers in iOS 8 was to let apps store data on Apple’s servers in the first place. Restricting Transmit from doing that was simply counterintuitive. Nice, guess thatâ€™s why Apple never responded to my refund request. But a larger issue still looms: Apple can require a cornerstone or key feature removed from an app but doesnâ€™t automatically inform purchasers that a change to the app has been rquested nor do they offer an easy way to request refunds or some form of discount. In Panicâ€™s case, Apple â€” to me â€” ilustrated the right they have to change their mind about an approved app; while also illustrating that a customer really doesnâ€™t have the right to change their mind â€” when it comes to app purchaes. Anyway, glad Panicâ€™s Transmit will be re-approved â€¦ it is an awesome app.